For the first time, an efficient and effective method has been developed for on-surgical face-lifting and body contouring. The Diamond Medilift provides a dynamic wavelength device that can be used to tone muscles anywhere on the body, as well as decrease and mobilize fat in certain areas. This technique is based on the response of muscles to electric stimulation. Electric stimulation has been used for years to stimulate muscle tone. It is clear that with age, muscle weakness and decreased tone are prevalent. Although one may exercise facial muscles, it is very difficult to do so when there are 108 muscles in the face. With proper pad placement, the muscles of the face can be stimulated to increase their size and tone. This will fill in the gaps that cause wrinkles from poor muscle tone. 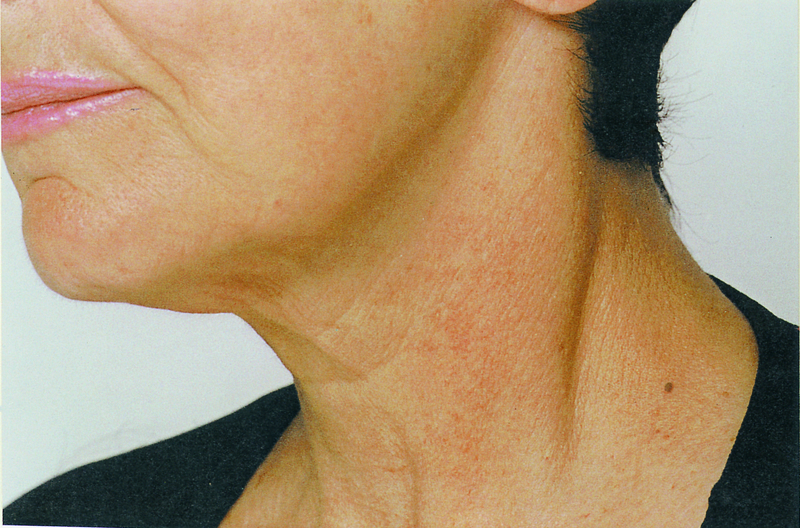 Equally important is the ability of the Medilift to tone and tighten the skin over the muscles. The program usually requires 12-24 treatments. These can be done 2-3 times per week. As with any muscle exercise, maintenance is required. Medilift requires maintenance of once a month. 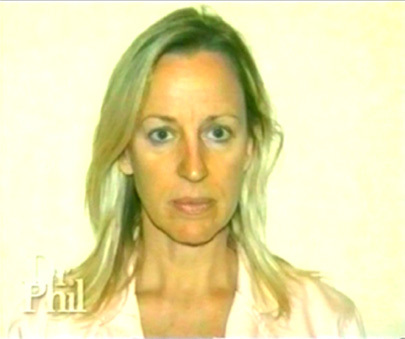 This procedure can replace face-lifts in many instances. This devise can even be used before or after facelifts where the muscles are not toned and have lost their bulk. 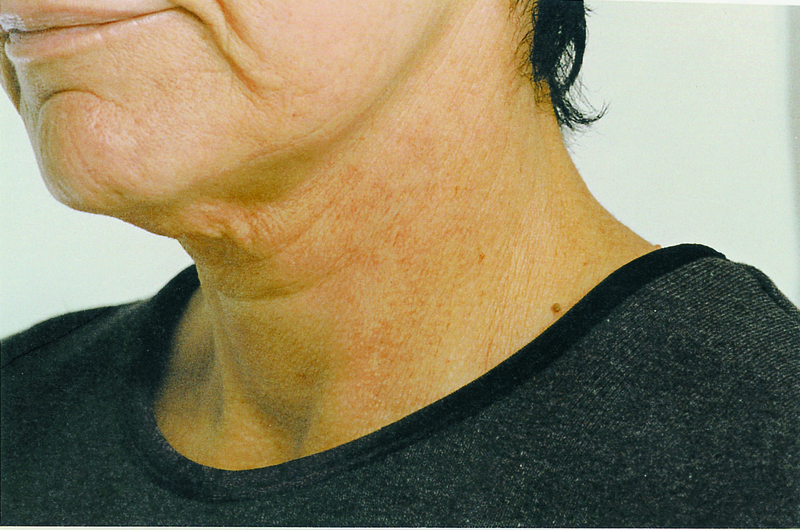 Surgical facelifts do not address the muscle tone in most cases. 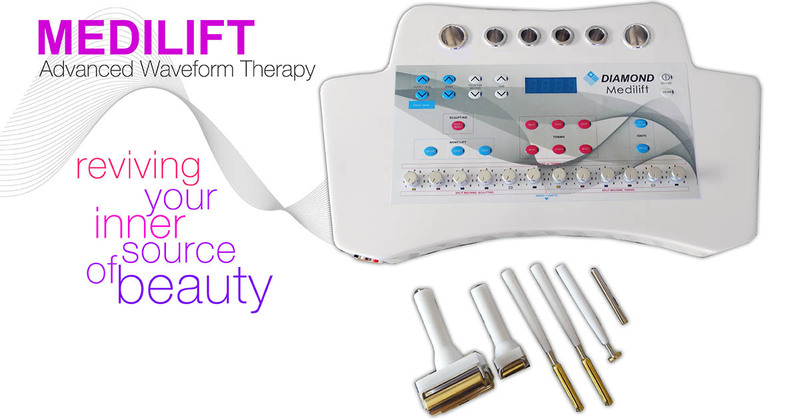 The Medilift has been used to mobilize fat under the chin as well as on the hips, thighs and buttock. The contouring provided by one of the wavelengths can also be used to treat cellulite on the legs. We can provide a 10 minute treatment that will clearly show you the ability of this technique to elevate the drooping eyes and sagging muscles. 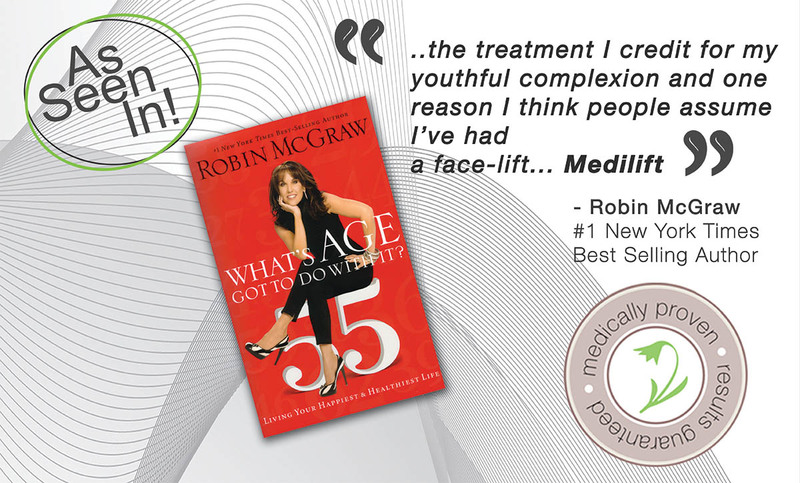 Stepping into the spotlight at the Golden Globes was Australia’s best kept secret – Diamond Medilift. Treatment seeking guests included Melina Kanakaredes (CSI New York), Terence Howard (Babel), Jessica Beil, Seth Green, John Stamos, Patricia Arquette , Bai Ling and Juliana Depandi (E! Channel) was “blown away” by the results. 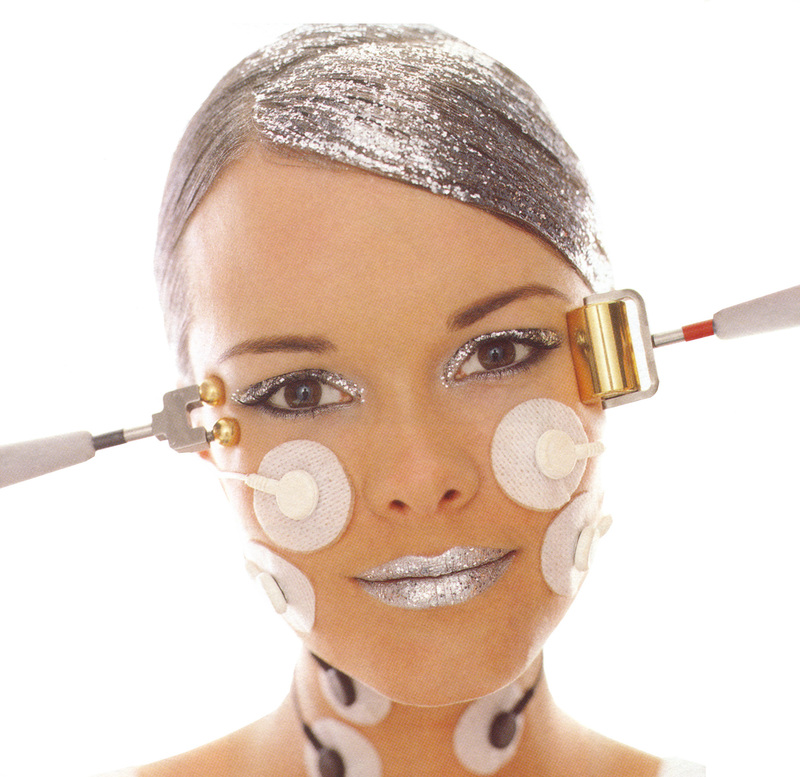 Diamonds non-invasive anti-ageing face and body concepts have redefined the beauty industry, assisting in the prevention, intervention and rejuvenation of the ageing process through cutting edge technology that works holistically with the body’s functions.